I've been swimming only once in my life. I was nine years old, and my parents went to Folsom Lake on the eastern outskirts of Sacramento for one of our extremely rare family outings. I had never swum before, not even had lessons. Every time I went into a pool, I always stayed in the shallow end, because I sunk like a stone in deep water. But at Folsom Lake, things were different. We arrived at Folsom in the morning. The trees surrounding the lake's beach were still glowing with the promise of the new day, and the water was peacefully lapping the sandy shore. My parents stayed in the shade of the trees since my mother was part vampire, while I explored the beach. I loved the water, even back then. Our trips to San Francisco were always my favorite part of my time living in California. I loved seeing the sea lions at Fisherman's Wharf (this was before they moderned it up), seeing all the bridges, and especially playing at the ocean. Folsom was the first time I'd ever been to a lake, and to my nine-year-old eyes, it was like a mini-ocean. I took off my shoes and socks, and headed into the water. The water came up to my ankles, then my knees, then my waist, then my chest, and finally up to my chin. I lingered there, all but submerged in the water, my feet dancing on the sandy lake floor. I looked back to the beach, which seemed so far away, and decided to head back. I bobbed along, slowly at first, but steadily increasing speed. Faster and faster I went, until finally — without any conscious thought other than sheer joy at being in the lake — I launched myself through the water like a torpedo. My arms swept the water away as though they were shovels clearing away snow. My feet kicked rapidly, and with sudden revelation, I knew I was swimming! I hit the shore like an orca hunting sea lion pups, laughing at the exhilaration of my experience. I ran to my parents, telling them "Mom! Dad! I actually swam!" "That's nice," they said, not looking up from what they were doing. Their apathy didn't get me down that day, no sirree. I had actually swum! Nothing could take away the great feeling of accomplishment in my heart, and I looked forward to many great days of swimming at Folsom Lake. We never returned. A year later, my parents and I left the West Coast, and I began seventeen years of excruciating exile away from the coast that was my home. But I vowed, one day, I would return and swim in that lake again. It's a vow I have never forgotten. I had always intended to move to San Francisco, since — out of all the cities in the world — it is the one I love the most. Alas, it was too expensive there, and I had to settle for living in Portland, Oregon. It was a small sacrifice, though, since I was finally back on the West Coast. And since then, I have kept tabs on the state I love. It was during one of those check-ups that I discovered the fate of Folsom. I learned that in one month last year — just a month — officials from the United States Bureau of Reclamation allowed over 165,000 acre feet of water to drain from the lake. That's over half of the lake's total capacity — gone in a single month. The Bureau's excuse? The water was needed for farmers, fisheries, and other users downstream. Of course, what the Bureau conveniently forgot was that there were over 250,000 people in the Sacramento area who needed that water as well. And now it's gone. And it won't be coming back anytime soon. California is in the throes of a major drought. Since that day in July of 2013, Folsom has dropped even more. It's only 25 percent full now. That's it. In a few months, it could be gone completely, because of government incompetence and apathy. What will those 250,000 people do when the water is gone completely? What will those farmers, fisheries, and downstream users do? How many children will be robbed of the same kind of memories I have? 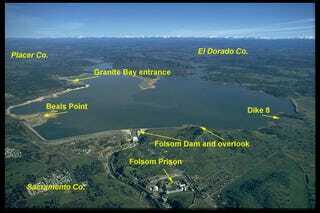 And most importantly, how many lakes will follow Folsom's fate? For years, I followed the plight of the Aral Sea. I watched from afar as the once mighty sea dwindled more and more. I remember thinking how tragic it was, and how grateful I felt that I lived in a country whose officials would never allow that to happen to our resources. I was a damned fool. I've stood by and watched as the politicians we — myself included — idiotically voted into office have betrayed us time and time again. And we just sit here, putting up with it. We watch our lakes destroyed, our shores and rivers ruined by industrial ineptitude. We watch our wages fall, our rents and food prices rise, and now we can't even enjoy a reprieve from that by going for a swim in a lake or river, because the river or lake is gone! It's not too late. There are still rivers and lakes we can save. We can still save our forests, our coasts, ourselves. We just have to stand up and fight. We have to mobilize. And I don't mean some directionless Occupy Wall Street circus of idiocy. I mean an army of committed souls who will no longer sit back and watch people in power destroy our resources. Otherwise, the fate of Folsom will become the fate of us all. "Resist. Resist today. Resist tomorrow. Resist until the last [industrial goon and corrupt politician] has been driven from our soil."